Born and raised in Minnesota, my childhood was full of outdoor activities. School and sports such as swimming and nordic skiing occupied my youth. After earning a bachelor's degree in biology, I spent several years traveling and working in the import business. I later continued my education in Landscape Horticulture. This led to work in a native plant nursery, followed by work for a design/build firm as a Landscape Designer. I started my own business in 2001. In addition to my business, I taught Landscape Horticulture classes in Soil and Plant Science, Herbaceous Plant Identification, and Greenhouse growing. In addition to being a gardening professional and self-proclaimed tree hugger, I practice yoga, a must for aging gardeners. I am an avid sailor, I enjoy scuba diving, nordic skiing, walking my dog, cooking, spending time with my family, traveling, and when possible, sleeping. I am a Landscape designer, landscape contractor and professional gardener. The most important part of my business is to create happy clients. Most of my clients are repeat customers, many of whom I work with on a continual basis. My work is diverse, ranging from formal designs, and container gardening, to flowing perennial borders, raingardens, lakeshore restoration, and native plant gardens. Gardening and landscaping for water quality. This is an important issue in Minnesota since there are so many lakes, streams, rivers, and ponds. Rainwater runoff from hard surfaces and lawns flows into storm sewers. From the storm sewers, this polluted water flows directly into our waters degrading water quality, and harming wildlife. Techniques such as creating rain gardens and vegetative buffer zones along waterways help water infiltration to replenish groundwater, create less runoff, and add to wildlife habitat. My blog, Gardening with Gabby at www.greencitygardeners.blogspot.com . I garden and landscape in USDA zone 4b in the Twin Cities area. In some protected areas where a microclimate is created, zone 5 plants may work. Our summers are often very hot and humid, and in general, our winters are cold and long! I have been gardening for about 25 years, the last 10 professionally. My interest in gardening and the outdoor world in general was triggered by a childhood and youth spent engaged in outdoor activities. As a landscape designer, I found a need for knowledgeable garden maintenance professionals beyond the "mow and blow" services. Making sure my designs were properly implemented and maintained for beauty and sustainability was very important to me, thus I added professional gardening to my menu of services. Creating mixed borders with trees, shrubs, perennials and annuals. These landscapes and gardens contain many Minnesota native plants which I like to use to create sustainable landscape and garden design. Container gardening is something that I really enjoy and add so much to the garden. I have a BS in Biology and an AAS in Landscape Horticulture. The author describes how our plant choices and maintenance practices have major consequences for the survival of our native ecosystem. This book illustrates the power of the home gardener. by Carrol Henderson. Originally published in 1987, Carrol Henderson has put together a thoughtful list of native plants, suitable for Minnesota's climate, that will bring birds and other wildlife into your garden. This detailed book is an alphabetical list of many herbaceous plants. The book explains about the plant's habit, culture, propagation, and history of use. I found this book very useful while teaching a herbaceous perennial class. Well, nobody does gardening like the English. If you can't get to England, though I highly recommend it, this site is great inspiration. I love my own website because of my blog, Gardening with Gabby. I love writing about my favorite subject and getting feedback from readers and other gardeners! 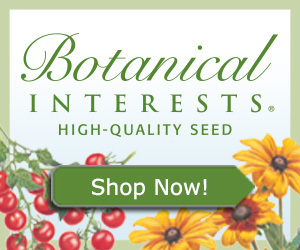 This site is a good, practical place to visit for quick information for a specific plant. This site has expanded and improved recently. An AAS degree in Landscape Horticulture. Two topics currently hold my interest. Planting for pollinators and garden history. As our honey bee and other pollinator populations face environmental stress, there is much home gardeners and garden designers can do to increase pollinator population. It is as easy as utilizing beautiful plants that attract pollinators, and eliminating insecticides and herbicides. My other area of interest is historical gardens and design. I am currently working on a book about the history of gardening, gardens and landscape in my home town. Two main pet peeves come to mind (tune into my blog for more). The first is gardeners and designers not using enough plant material. To create a low maintenance, sustainable garden or landscape, the designer must use a lot of plant material. I am not talking about a crowded garden, for a good designer will keep in mind the mature size of the plant. A well designed, abundantly planted garden will be aesthetically pleasing, and have fewer weeds. A full garden is a lower maintenance garden. The second peeve is raking leaves off the beds in the fall. Every fall I watch as leaves are raked, bagged, and hauled away. This makes no garden-sense, economic or environmental sense. Bags, often plastic and made from petroleum products, must be purchased, bagged leaves are hauled off by trucks, which cost money and consume petroleum products. Because the nutrient rich leaves are gone, the gardener must purchase fertilizer, which is made using petroleum products. As far as the lawn goes, get the leaves off the grass, or better yet, mulch mow them and leave on lawn, or rake into the beds. 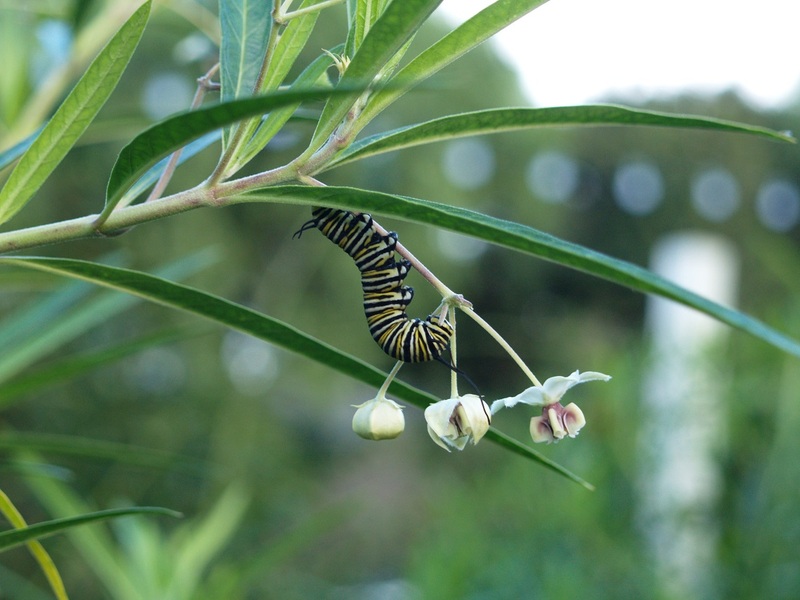 Leaves are full of nutrients, help to keep soil temperature more constant, help the soil conserve water, and provide habitat for butterfly and moth larvae, and provide cover and forage for winter birds. Leaves decompose quickly, and by spring, your plants will have no trouble coming through them, and leaves can be lightly raked and moved in between any delicate emerging plants. I start my gardening season typically in March with dormant pruning of shrubs and small trees. I continue on through October. During the months of April through October, I work Monday through Friday, weather permitting, either gardening, consulting, or managing projects. I do get out of town in August when the weeds slow down, for a family vacation. During the "off" season, typically November through mid-March, I spend time designing work for the next season, researching plants, ordering plants, starting seeds in the greenhouse, sometimes teaching horticulture classes, contacting clients, blogging, and this year working on a book. I try to get to at least one trade show per year. If I can squeeze in any garden tours, it's a really good year! Minnesota Native Plant Society, Soil and Water Conservation Society, MN Horticultural Society, Royal Horticultural Society, Federated Garden Clubs of Minnesota, Washington County Historical Society. Solving problems for my clients, and helping them out with their landscape and gardening needs. I also enjoy the artistic part of gardening and design. Planting containers for all the seasons is a labor of love! Really though, the best part of my job is observing something totally cool almost every day like a soaring eagle, a peregrine falcon, or an insect or mushroom that I have never seen before. When the birds stop singing, the breeze stops blowing, and the sky changes from blue to a weird greenish hue, and I am in the middle of nowhere all by myself. The threat of tornado, high winds, lightning and other inclement weather can be challenging. Judging the weather is difficult and caution is the best approach, so I always try to be in a position where I can leave the job immediately if needed. My father for ensuing my interest in the outdoor world, and my sister for suggesting I make a career of it! Tending a lakeshore garden barefoot on a hot summer day is pretty hard to beat, and I also LOVE to create container plantings. Morning. The temperature is cooler, it is quiet, the birds are active, the plants are perky and often dew covered. This can be a great time to take some garden photos. I love Stourhead in the UK . It has it all, incredible large trees and shrubs, beautiful to see when the huge rhododendrons are in bloom. It has a lake, created by damming a stream, architecture, a surprise around every corner. Around the main house are the perennial borders and the kitchen gardens. Amazing. A perfect arrangement of wooded areas, historical architecture and sculpture, smaller perennial areas and walking paths throughout. Green, of course! I love color contrasts, and wholeheartedly agree with the late-great Christopher Lloyd, that color should be used boldly. I would never survive in a world with one plant! White cotton long sleeved shirt, pants with lots of pockets, hat, loads of sunscreen, gloves, and barefoot. The practice of gardening is a process that should provide beauty in the present and a vision for the future. Michael Pollan has influenced public opinion on gardening by making us aware of how home gardeners can create sustainable gardens that use plants for insects, birds, and wildlife, and also to incorporate vegetables and herbs into to garden for our own use. Also Will Allen's Growing Power organization has brought vegetable gardening to many urban areas. How can I have a beautiful, low maintenance garden and landscape? Start with soil that has been amended with lots of compost, use lots of tough, fool proof plants (trees, shrubs, and perennials) and native plants to bring beneficial insects. Minimize or eliminate fertilizer and chemicals. Reduce irrigation. Try not to disturb the soil, but layer it with fallen leaves and compost to cover bare soil. Incorporate art and containers into the garden. Get on a fertilizing schedule. The homeowner who wants to create a lovely, sustainable garden and landscape.